Why hire a Wedding Videographer. WHY DO I REALLY NEED A WEDDING FILM? This is something we get asked a lot and we always say video has such a great power to bring people right back into a place, a time, a memory. Imagine it this way; if you had a chance to see a video of your grandparents or parents getting married, wouldn’t you love to see it? With film you can see, hear and relive everything once again. It captures everything in full and truly encompasses the essence of what made your day so special from the finest details to the most exciting moments. It really is like the gift that keeps on giving - the happiest day of your life captured on film forever. DO YOU FILM WEDDINGS FULL TIME? In short, yes, we are lucky enough to make films as a full time occupation and we love using our skillset to create something lovely that our clients can cherish forever. The Cine Collective was founded in 2014 following the success of our parent company KNOW MEDIA LTD. It all started when we ventured into weddings under the KNOW MEDIA brand in 2012 after seeing a gap in the market for the style of wedding film we love to produce. 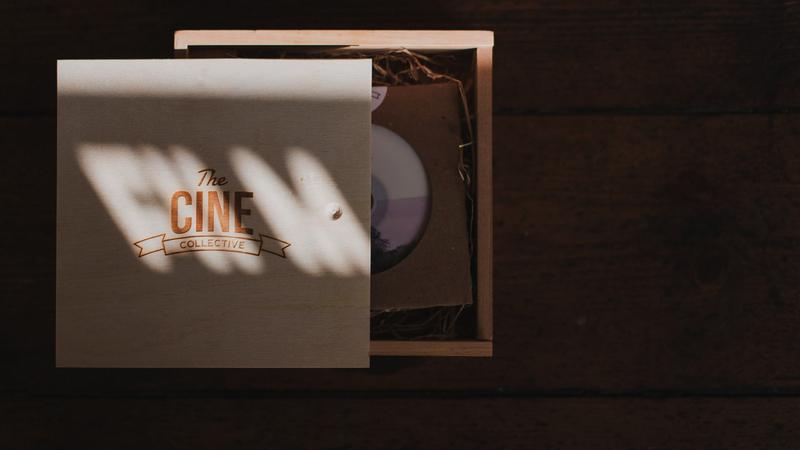 We then decided in 2014 to create The Cine Collective brand for our wedding films to ensure the best experience possible for our clients and the rest, they say, is history. We already have a few awards under our belt and it’s an honour to know clients and peers appreciate what we produce so much. Despite this being our sole occupation, we ensure we limit the number of weddings we capture over the course of the year to enable us to put the utmost time and effort into each film. Our team carries several levels of comprehensive insurance from full public liability to professional indemnity. We also carry comprehensive cover for any loss or damage to equipment to ensure we can get necessary replacements in 24 hours. This isn't particularly important though as we have duplicates of all our vital equipment anyway to ensure a moment is never missed. In terms of data, we ensure we adhere to all necessary data protection protocol and we always maintain multiple backups of all files so we never lose anything. Relax, your precious memories are in safe hands! CAN WE ARRANGE AN APPOINTMENT TO MEET WITH YOU? Appointments can be made at our Brigg Studio at a time convenient to you. These are normally available Monday to Friday between the hours of 9am and 5pm and must be pre-booked in advance. For people who live a considerable distance from our studio we also are able to offer Skype appointments. Please email hello@thecinecollective.co.uk to arrange an appointment or alternatively you can use our online booking system here. HOW can WE BOOK AND HOW MUCH DEPOSIT IS REQUIRED? Our booking system is totally paperless and can be filled in at the studio or anywhere in the world via our secure online booking and signature portal. To secure any date we require a £400 non-returnable retainer which is deducted from your final bill. This is to secure the date and cover administration charges. All payments must be settled no later than 28 days before the wedding date. We accept payment in a variety of ways including cash, BACS and card. A full receipt will be given with every payment made. How long will it take to receive my Wedding Film? Every Cine Collective film we produce is not an off-the-shelf product, but rather a painstaking creative process that demands a considerable amount of professional time, thought, care and attention and to maintain our high standards. It is simply impossible to rush what we do as the end product will not only be disappointing, but it wouldn't really work as a film at all. Therefore it is vital we give each project all the time it requires. Whist highlight's films are usually provided within 1-2 months, delivery of the final finished product can take 3-6 months after the event depending upon the time of year. Of course, the wedding business is very seasonal, so it does mean we get fluctuations and delivery can often be a lot sooner.